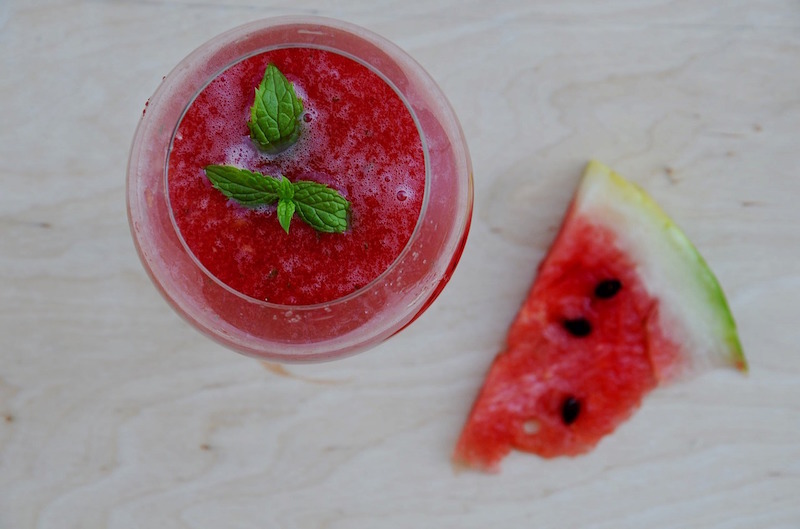 Puree the watermelon in a food processor, then force it through a sieve. 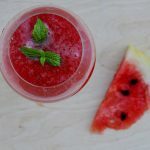 Mix the watermelon juice with the lemon juice and sugar to taste, mixing well to dissolve the sugar. Spread the mixture into a metal cake pan and place in the freezer. When it becomes slushy mix it up, then continue to freeze it, mixing it again as it begins to harden, about every 30 minutes, for about 4 hours; serve in goblets.